Morocco has illegally occupied the former Spanish colony for more than 40 years. This innocuous observation infuriated the Moroccans, who objected to the secretary-general’s reference to Morocco’s control of the territory as an “occupation.” The U.N. General Assembly has used that term in resolutions regarding Western Sahara (34/37 and 35/19) and the consensus of international legal opinion is that the country is a non-self-governing territory under foreign belligerent occupation. (Indeed, the European Court of Justice recently struck down the European Union’s trade agreement with Morocco for its failure to distinguish Western Sahara status accordingly.) However, in the view of the Moroccans, having the U.N. secretary-general use the term was a violation of U.N. “neutrality” on the fate of the territory. Within days, the Moroccan regime organized an anti-U.N. rally in the capital of Rabat, closed down a U.N. Mission for the Referendum in Western Sahara liaison office, and expelled all 84 of MINURSO’s civilian personnel. U.N. spokesman Stéphane Dujarric immediately denounced Morocco’s actions as being “in clear contradiction” of its international obligations and a challenge to the authority of the U.N. Security Council, which had authorized the MINURSO. At the end of April, the United States drafted a Security Council resolution simply expressing “concern” over MINURSO’s inability to fully carry out its mandate as a result of the Morocco’s expulsions. When other Security Council members pressed for stronger language, it was upgraded to “regret,” but far less than the condemnation most countries had wanted. The resolution went on to ask the secretary-general to report within 90 days on whether the mission’s operations have been restored “to full functionality,” and if not “to consider how best to facilitate achievement of this goal.” Given that Morocco has declared their decision to expel the peacekeepers “irreversible,” it is questionable as to why the U.S. insisted on waiting 90 days. For those of us who have actually been to Western Sahara, there is no question that it is an occupation. Any verbal or visual expression of support for self-determination is savagely suppressed. Even calls for social and economic justice can be dangerous. The young sociologist Brahim Saika, a leader of a movement of unemployed Sahrawi professionals demanding greater economic justice, was tortured to death while in Moroccan detention in April. Freedom House has ranked Western Sahara as among the dozen least free nations in the world, along with Tibet, Uzbekistan, North Korea, Saudi Arabia, and Sudan. Indeed, of the more than 70 countries I have visited — including Iraq under Saddam Hussein and Indonesia under Suharto — Western Sahara is the most repressive police state I have ever seen. The House Appropriations Committee provided a related nonbinding report of their intentions stressing “economic development,” including having the administration “support private sector investment in the Western Sahara.” The intent was to push the U.S. government to undermine the international boycott and divestment campaign against companies supporting the occupation. As with the Israeli-occupied territories, ethical and legal concerns regarding companies supporting the colonization and economic exploitation of territories seized by military force has led to international opposition. 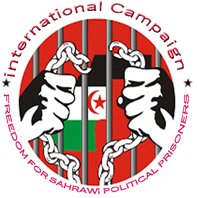 The Obama administration, caught between their support for international law and a conflicting Congressional mandate, announced that they would spend $1 million to “support the people of the Western Sahara to form meaningful linkages with civil society organizations and local government.” The hope is that such aid will support some of the grassroots efforts by indigenous groups to improve the poor human rights situation in the occupied territory.